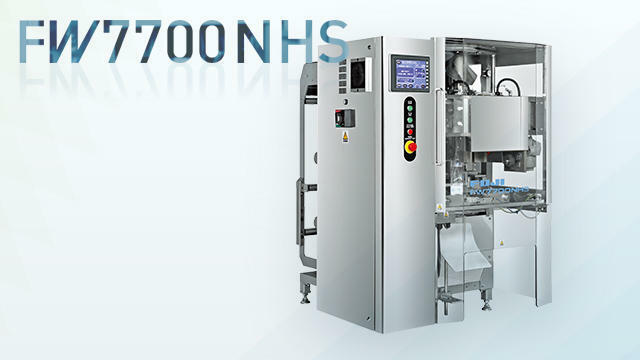 FW7700NHS wrapping Karinto-wiener-cocoa | 5_productsindex.html_Sheet1.csv | FUJI MACHINERY CO.,LTD. A high capacity vertical pillow packaging machine with a new sealing system. Separate construction of the passage and drive portions of the product and film provides sanitation.